10 years ago (2000) I went to Guatemala for the first time on a Japanese Governmental Program called, Japan Overseas Cooperation Volunteers. 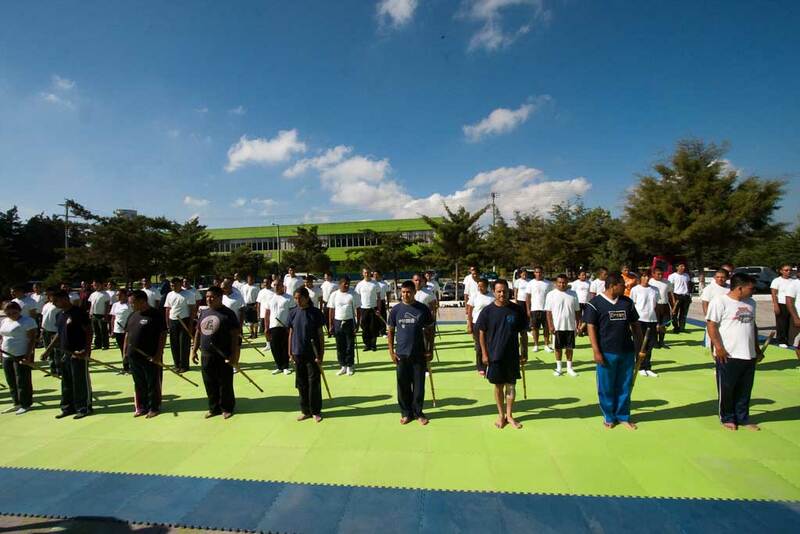 I was the second volunteer to succeed the task of "teaching and promoting kendō" in Guatemala. I know many of you want to have a kendō instructor. I suggest that you should go and talk to Japanese Embassy if they know any programs like JOCV or JICA. JICA sends volunteers only to developing countries so not every country can get a volunteer. When I got there for the first time, there was no legitimate kendō association and the kendō group was not well organized. So my first task was to establish a legitimate kendō organization. It was very important because without a legitimate entity no kendō group can join International Kendo Federation (FIK). When I left the country in 2002, we had a legitimate Guatemala Kendo Association. Now the Guatemalan Kendo Association (AKG) is a full member of the Latin American Kendo Confederation (CLAK) members of the International Kendo Federation (IKF). They are so close to be a member of FIK. And now they are teaching officers of PMT (Metropolitan Transit Police) at Police Academy. And actually this kendō lesson at the academy has been recognized by Guatemala City so they will continue to teach more classes there. Also they now have 7th dan sensei from JICA. They are all set for further growth. Again please check Japanese Embassy in your country. You may be able to get some kind of help from Japan with kendō. We all know how difficult it is to promote kendō. Moreover, it is even harder to increase membership. But if you think about it, we can also think about offering class to the police officers in our country too, right? A while ago, I read an article in Kendo Nippon (Japanese well-known kendō magazine) about teaching kendō to high school students in Australia. The instructor of kendō is a teacher at this high school and he started kendō class (club) there. Of course, some students made fun of kendō but his kendō students’ attitudes changed. They started bowing to him even outside their dōjō (school gym). More importantly they became confident and very proud of themselves. There was a riot in Guatemala City and those kendō students were call to duty to help control a riot along with other police officers of the department. They were in anti-riot gear with helmets, body armor and a shield. Those who learned kendō did something different this time. Instead of using a tonfa, they asked their commander to use the shinai like bamboo stick, not a shinai because they didn´t wanted to risk the small number of shinai they had. They formed a line, shoulder to shoulder, then the squad leader shouted a command: "Mae!" That means "Proceed!" in Japanese and in kendō we take a step forwards on to the right foot followed by the left foot. And all the rest of the kendō police officers shouted "Kiai!!!" At the same time, banging the shields with the sticks and taking a one hand jodan like stance..
Again the leader shouted "Mae!" and everyone else shouted "Kiai!!". They repeated the process several times. Every time the line took a step forwards, the rioters were pushed backwards little by little, nobody wanted to mess with the line, even their fellow police officers were impressed. And finally the rioters separated and went their own way. Who aren’t gonna be proud?? Those graduates of the Police Academy that completed the kendō class have a special pin to put on their uniform, which they receive at a graduation ceremony. There are several police officers that continue to train kendō after graduation. Some use bōgu, provided by the AKG, and several of them had taken kendō exams holding even 2-kyu. Isn’t this great or what? This is a great way to promote kendō and actually kendō is contributing to the society. 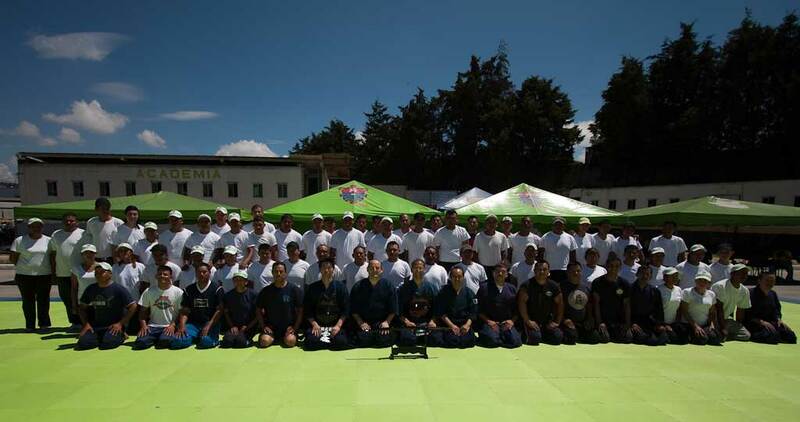 Guatemala Kendō Association makes sure to emphasis Reigi-Sahō (etiquette and manners) because it is what kendō is all about and PMT Police Academy also appreciates it too. Kendō at the above-mentioned high school in Australia also emphasizes on Rigi-Sahō. That is why, I think, the students changed their attitudes and became confident and proud of themselves. I am so happy for them and also am so glad because I know how they were 10 years ago. I still remember how hard it was to build the solid foundation of kendō. They cannot just be happy. As you can see in the picture below, they do not have enough shinai for the officers at Academy. Some use literally a bamboo stick or just stick to learn kendō. That is not a big problem. However, those officers who want to continue kendō cannot afford keikogi and hakama. Bogu is out of question. Their monthly salary is about US$350 and barely makes ends meet for them and their families. 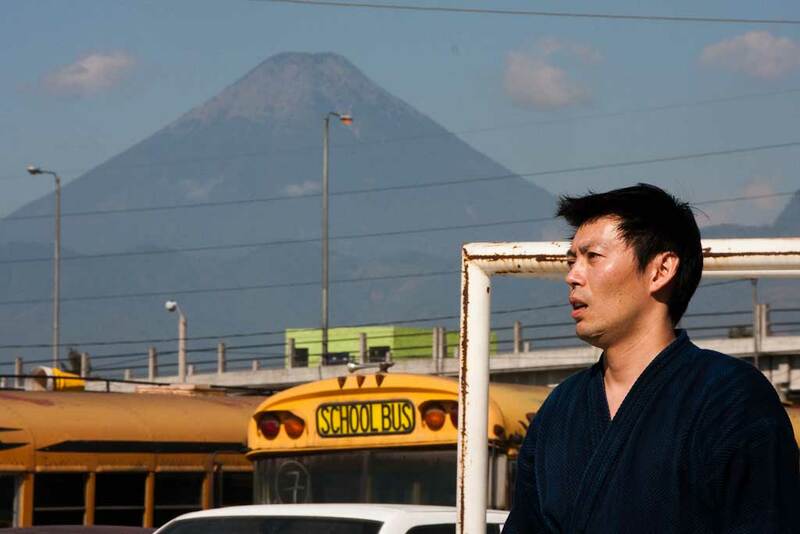 If you have some used keikogi and hakama, please send them to Guatemala Kendo Association. They will be super happy to have a proper set of kendō uniform. *Please change /at/ to @. 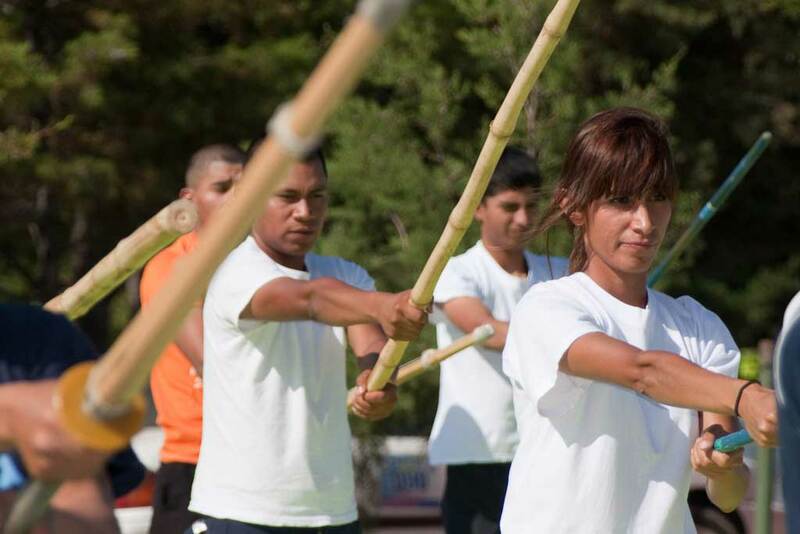 Official Website: http://www.kendoenguatemala.com/ (Please be aware that there is a website with similar name run by a couple of rebellious people that do their “own version” of kendō, that not belong to AKG, CLAK or IKF).